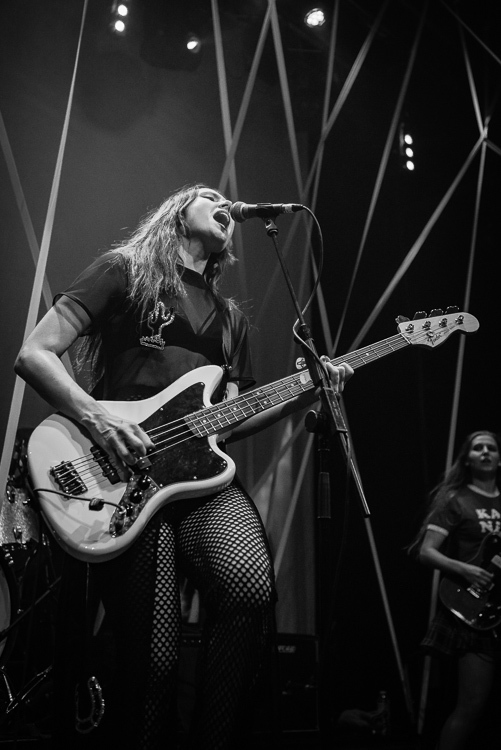 After a short break from concert photography, I was back at the Exeter Phoenix with my friends from MusicMuso to shoot Kate Nash. She was sure to put on a good show so I was excited to be covering the gig, but nothing prepared me for the energy of her set! It was one of those gigs where it is just a pleasure to shoot. Her experience and talent shone through as she blasted out her songs and worked up the crowd. Both Kate and her band gave me plenty to work with! If you want to read a full review of the gig my friends over at MusicMuso will be posting one up on their website really soon, so make sure you check it out when it goes live. It was an action packed gig and they will have plenty to write about! Here on The Unplugged Blog though, I'm going to show you some of my favourite images from the night. As with most great gigs, there is also a great support band. Gothic Tropic did not disappoint and they delivered a quality set. Normally I would post two or three images from a band, but I was spoilt for choice with Kate Nash, so I'm just going to post all of my favourites! So there you have it. That was probably one of the best gigs I've shot at the Exeter Phoenix. Experienced and energetic artists make my job so much easier and it was a real pleasure to shoot. So if you liked those images and want to see more be sure to follow me on Twitter,Instagram, Facebook, and of course here on The Unplugged Blog. Till next time....!